Spring is in full swing, and we are loving all the fresh produce around town. 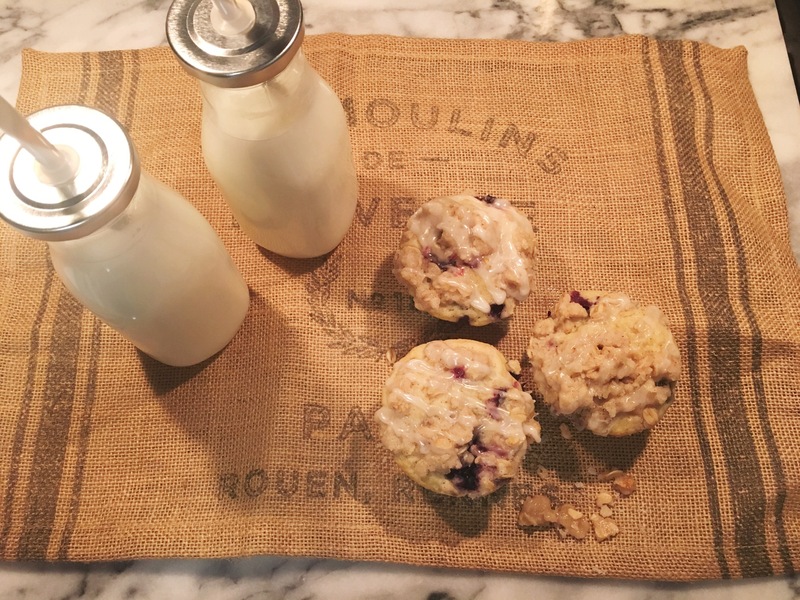 We were inspired to make our favorite “fresh” dessert: blueberry muffins! As usual, today we’re sharing two different recipes, one vegan and one that is omnivore friendly. Both recipes are sure to be loved by everyone! 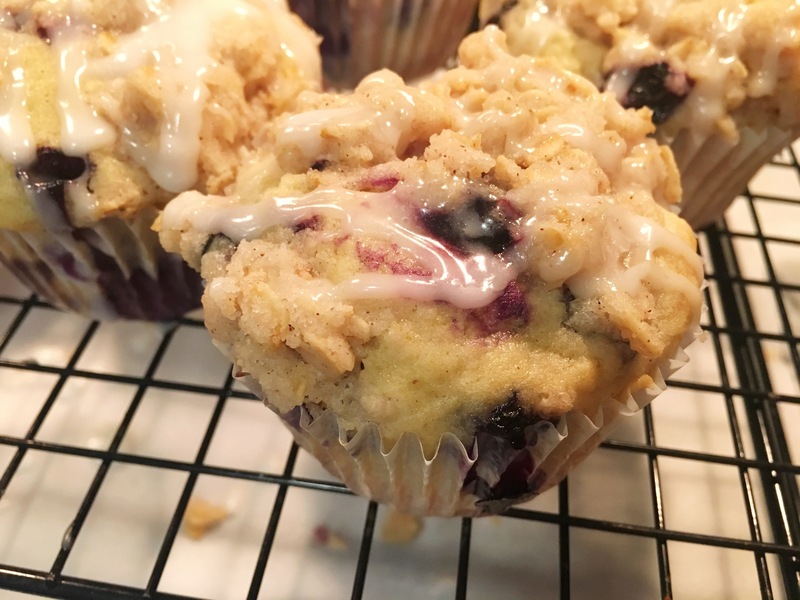 Nikki shares a blueberry and lemon crumb muffin topped with a lemon glaze and Jess will show you how to make blueberry muffins with a brown sugar topping- yum! Click the link below to see both recipes and step-by-step instructions! Hi there! Today we’re starting a recurring feature, our current obsessions, which will feature products, restaurants, other blogs, etc. that we are totally obsessed with at the moment! Think of it as a personal Pinterest board just for our readers. These are the things we think you guys will absolutely love, because we do, too! You guys, can you believe that Valentine’s Day is just around the corner?? (P.S. have we mentioned how much we LOVE this holiday?! I mean, with all the girly, pink, hearts, and sparkly things how can you not love it?!) One of our favorite parts about Valentine’s Day is baking super cute (and of course, tasty) treats-stay tuned for recipes! And the best part about baking? Decorating! Who doesn’t love a perfectly-iced cupcake topped with adorable and festive sprinkles? Sometimes it can be hard to find just the right “accessory” for your dessert, but search no more! We have stumbled upon the most adorable online sprinkle shop, Sweetapolita. I mean, how cute are those sprinkles? This shop seriously has some of the best sprinkle mixes we’ve seen, perfect for decorating all those V-Day desserts! They come in several different varieties, from single-color to mixes of shape and size. You can also order sets of multiple sprinkle bottles, and everything is reasonably priced. and you guys…the BEST part?? There are TONS of vegan sprinkles to choose from! How cute would these edible, vegan stars be on a perfectly-iced cake?? So, head over to Sweetapolita, order some super cute sprinkles, and get baking! Everyone wil be seriously swooning over your adorably-accessorized desserts. Happy baking! 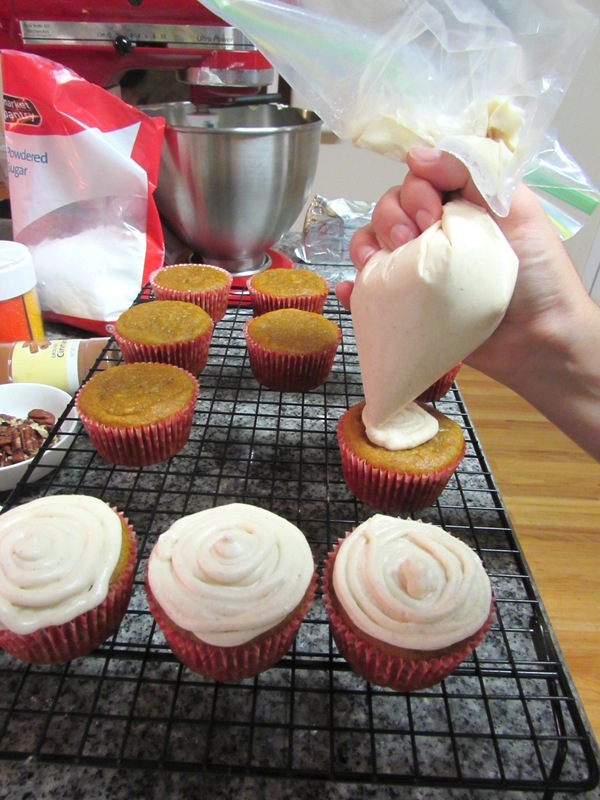 Our favorite time of year is well underway-baking season! Christmas time growing up was all about baking as many cookies and treats as possible. Most were made to give away as gifts but we definitely kept and snuck our fair share! So far this year we’ve made yummy chocolate peppermint cookies, Snickerdoodles, one of our favorite Christmas classics Candy Cane Cookie Sandwiches, and we’re planning a big sugar cookie bake this weekend (recipe to follow)! Today I made a new favorite I came up with last year-Rocky Road Fudge. We made fudge a lot growing up but I hadn’t made it since going vegan. I went with a coconut cream base and added in marshmallows and walnuts. Yum! This recipe was such a hit I ended up making it several times last year. It was a great treat to serve at our New Year’s Eve celebration. This recipe is vegan, omnivore tested, approved and loved! Best of all it is so easy! Just leave enough time to let the fudge set in the fridge. For those of you new to the vegan game, there are two major brands of vegan marshmallows: Sweet & Sara, and my personal favorite, Dandies. You can find these online from various sellers or sometimes Whole Foods and other specialty stores. Line a small baking dish with parchment paper, or greased foil. If you are using regular sized marshmallows, cut them into fourths or sixths and set aside. In a medium pot, heat the coconut milk and bring to a simmer, stirring often. Simmer for 2-3 minutes. Add 2 tablespoons coconut oil and stir until it melts. Add the chocolate chips and stir quickly with a whisk until all of the chips are melted and you have a pot of gooey yummy chocolate. 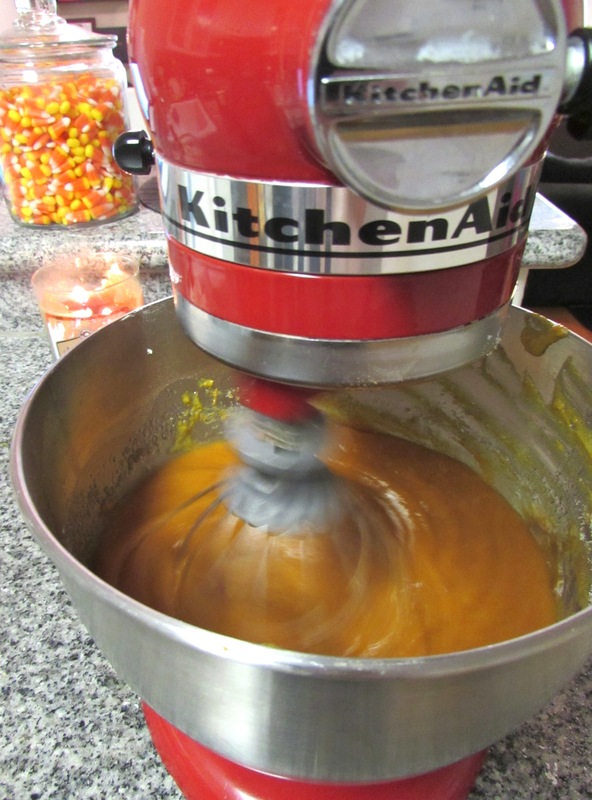 Remove from heat or pour into a mixing bowl if you don’t have a lot of stir room. Add 1 teaspoon vanilla extract, 2/3 cup marshmallows and 2/3 cup walnuts and stir well. Make sure the marshmallows aren’t in a huge clump when you put them in. Pour the mixture into your lined baking dish. Sprinkle walnuts and marshmallows over the top, about 1/3 cup of each. Place in the fridge overnight, or at least in the freezer for 30 minutes. Cut into bite sized pieces. Store in the refrigerator. Continuing with our Holiday Cookie Series, we’re sharing two takes on the classic Snickerdoodle. 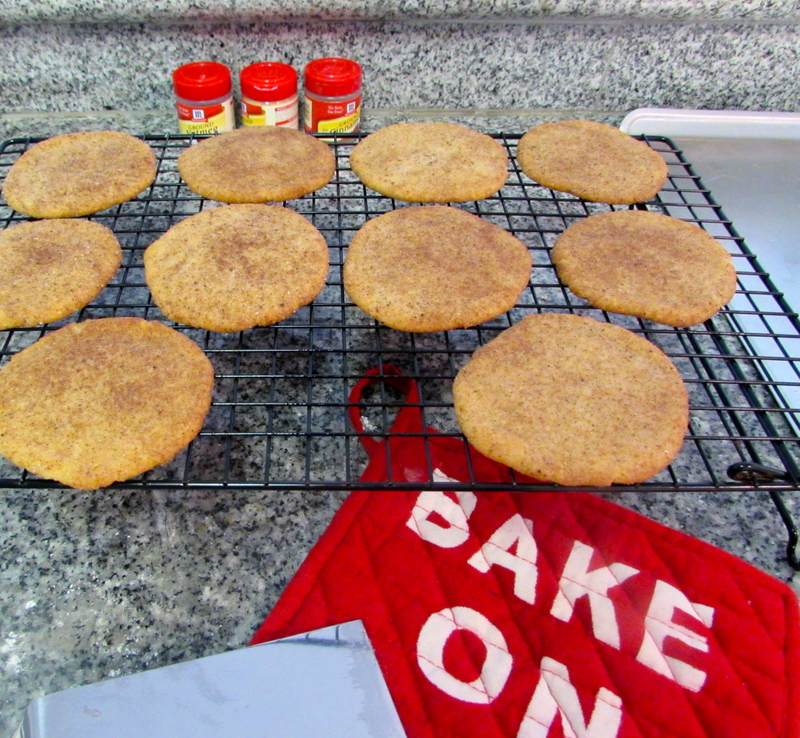 Snickerdoodles are another delicious, easy, go-to recipe for us this time of year. 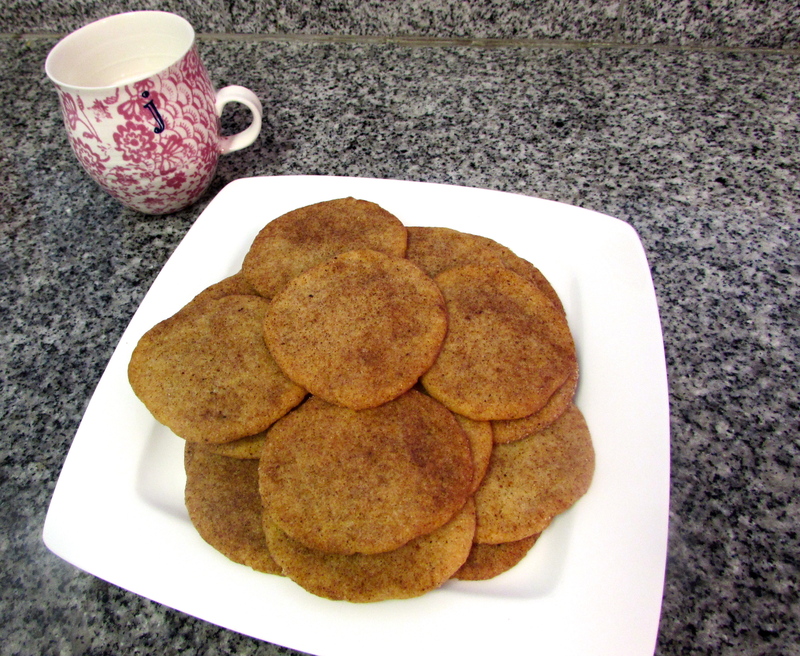 Snickerdoodles are the perfect cookie; crunchy and sugary on the top and chewy and soft in the middle; perfect to enjoy with a cup of hot chocolate. 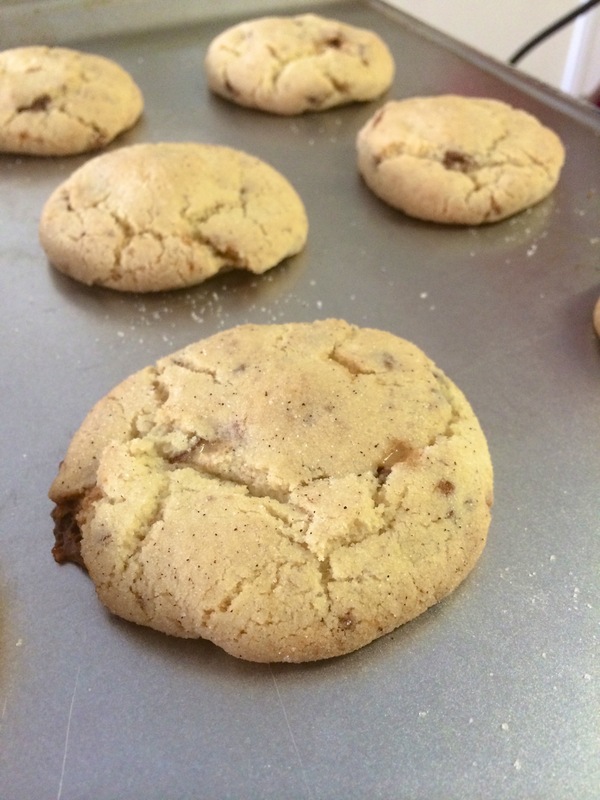 As great as they are, we decided to mix up the traditional Snickerdoodle; this week Jess shares vegan Chai Spiced Snickerdoodles, while Nikki shares her Snicker-doodles, with little pieces of Snickers bars in them! Click the link below to get started on this sweet treat! Today we are launching our Holiday cookie series, where we will bring you several tasty cookie recipes over the next week or so. In our family, holiday baking is one of our most celebrated traditions. 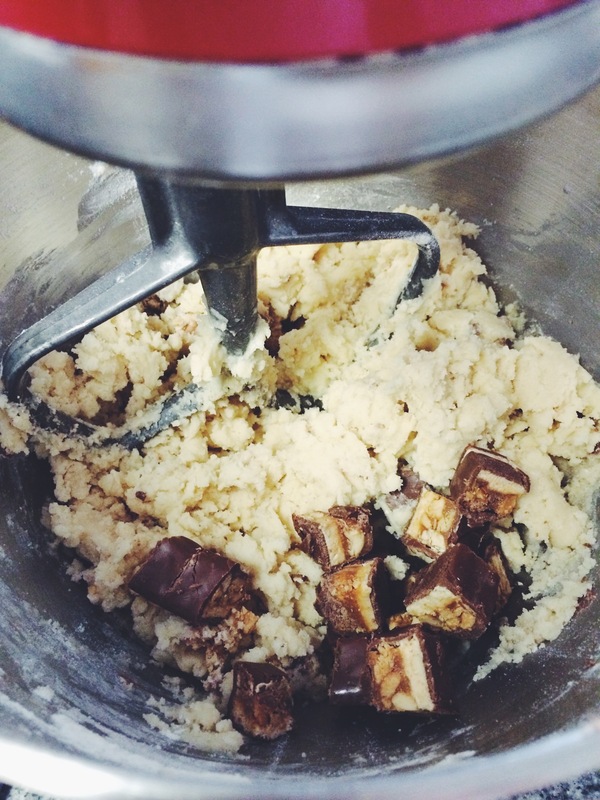 We usually devote at least a few days during the holiday season to baking all day. Baked goods make a delicious and thoughtful gift for anyone special in your life. Wrap the treats in some festive packaging and you’re ready to go! 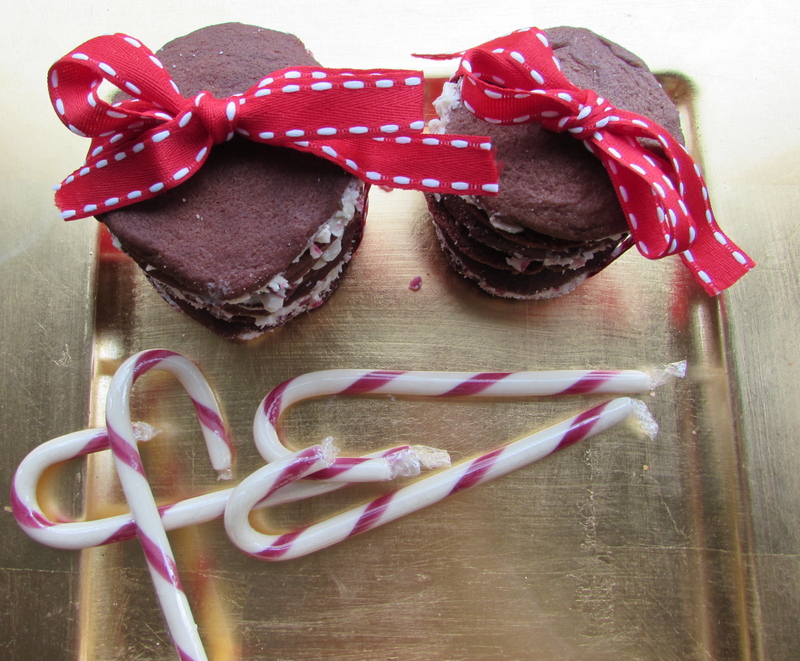 To kick off our online cookie party, we will be sharing Candy Cane cookie sandwiches. 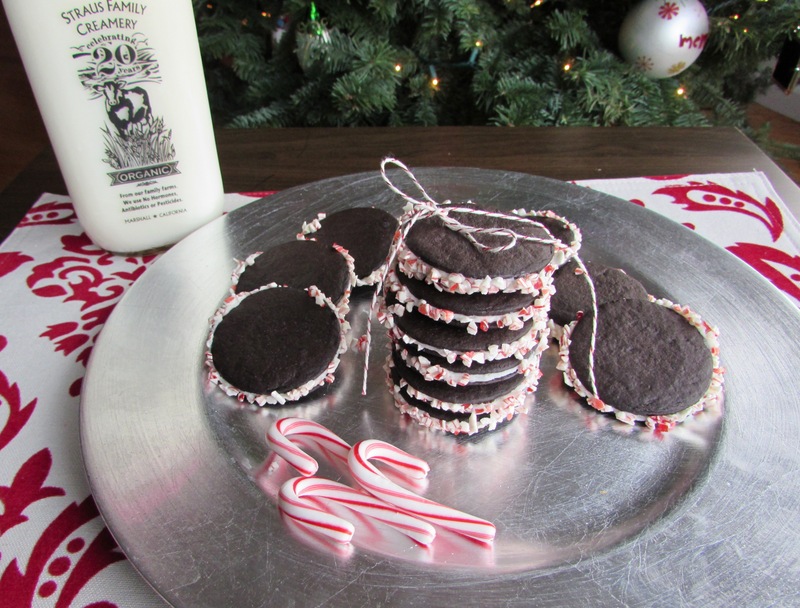 These are very similar to an Oreo (only better) with a festive twist- candy canes! 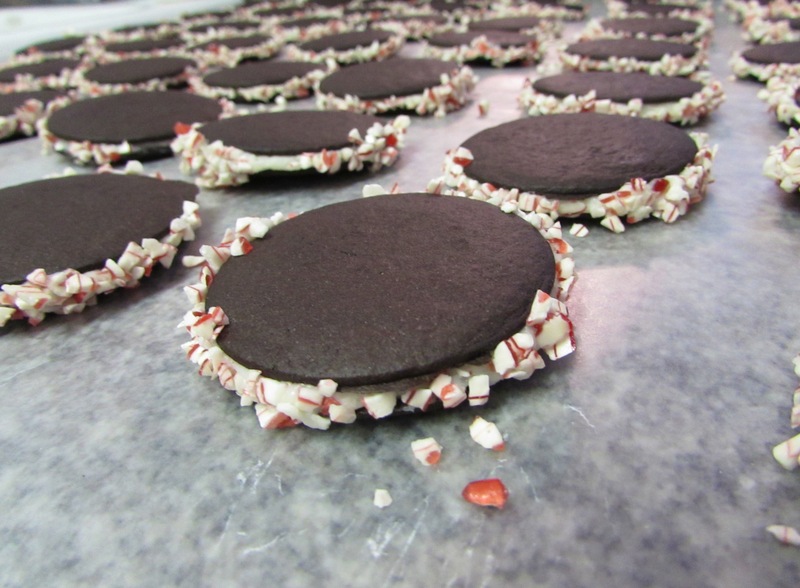 The peppermint-rimmed cookies are not only delicious but are also super cute and festive! As usual, we’re sharing a vegan and nonvegan recipe for these cute cookies. Candy Cane Lane is one click away! 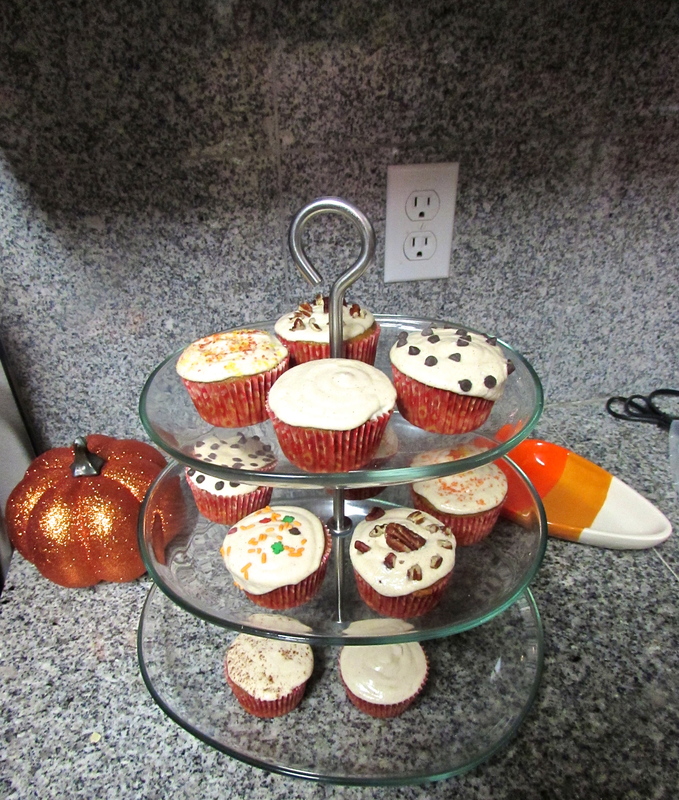 Every fall, our adorable mom sends us care packages full of seasonal baking accessories (thanks, mom! )- cupcake liners, sprinkles, you name it! This fall was no different, and one day after work we returned home to find an amazing care package packed to the brim. Growing up, the three of us would bake at least every week, always fighting over who got to lick the spoon. Our mom made baking a tradition for any occasion and it is still one of our favorite activities every time we are together. Now that Jess and I both live together in San Francisco and our mom is still back in San Diego, baking just isn’t the same without her! Her thoughtful care packages give us a way to include her in each cupcake and cookie even though she may be 500 miles away. We couldn’t wait to use these cute cupcake liners and fall sprinkles, and what better way to celebrate fall than with pumpkin cupcakes?! We are pumpkin obsessed around here, and wait patiently for autumn to arrive every year so we can use it in just about every recipe. 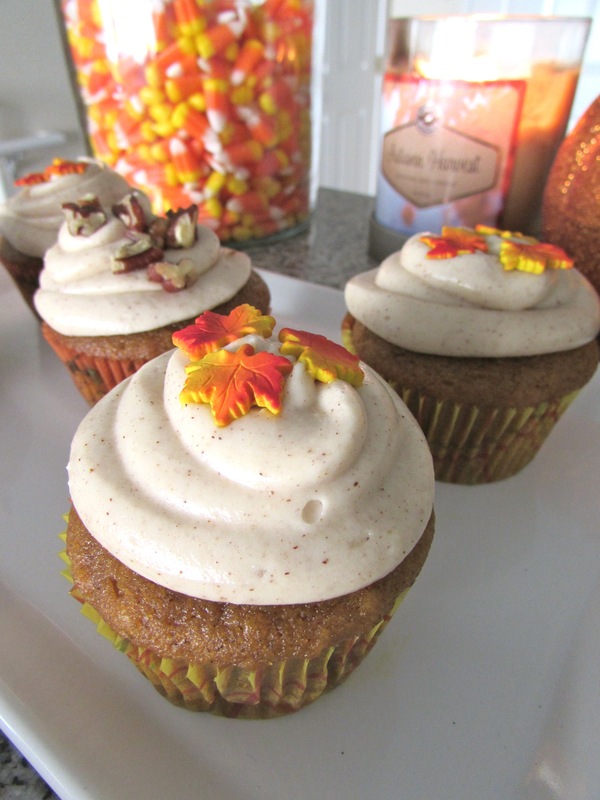 This time, we include both vegan and non vegan versions with maple and cinnamon frosting. Enjoy! Continue reading for both recipes!